When you think about gaming laptops, you probably think high-end, bulky, RGB-laden devices that can break your back and your bank at the same time. 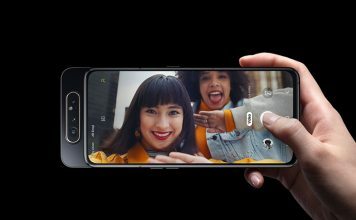 However, what you probably don’t think of, is a device that lets you switch out its processor and GPU on basically a whim. In an era where companies are trying to make your smartphone replace your laptop, Dell wants your gaming laptop to replace a full-blown gaming rig. That’s what the Alienware Area 51m promises to bring into the mix of high-end gaming machines. 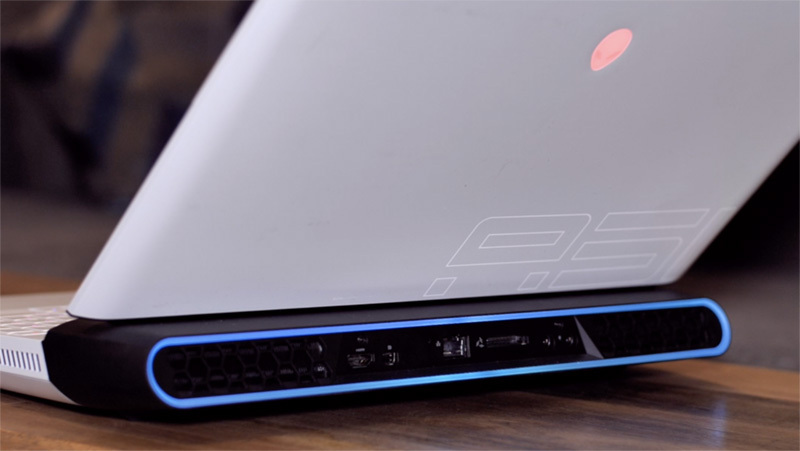 We’ve had the Area 51m for a while now, so let’s take a look at what this gaming laptop (starts at Rs. 2,99,590) is like. Dell was kind enough to send us the high-end variant of the Area 51m to review, with just the storage being a 512GB NVMe SSD + 1TB SSHD, and 32GB of RAM. 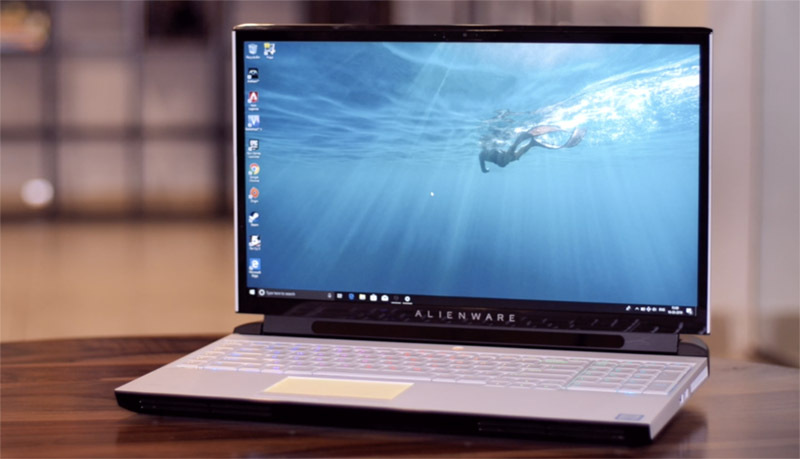 If I were to sum up the design of the Area 51m, I’d say ‘think Alienware, but more streamlined.’ That’s basically my opinion of what the Area 51m looks like. It’s a very Alienware design, and that’s not bad, a lot of gamers like the distinctively unique design that Alienware brings to the mix, but Dell has clearly changed the design a bit and made it look a lot better than other Alienware devices. The laptop comes in two colors, Lunar Light (our variant), and Dark Side of the Moon (I wonder if they took permission from Pink Floyd for that). The Lunar Light variant that we have looks uniquely classy and menacing at the same time. There’s no way you’d think this might not be a gaming laptop, but it still manages to not look too out of place at our office, so if that’s something you want, great! Other than that, the laptop is made out of a magnesium alloy; it feels really good to the touch, and it also exudes a sort of class that most gaming laptops can’t really match. It’s still bulky, it’s still heavy, and oh, it comes with two 330W power bricks, and each one of those is heavier than my MacBook Pro. Just saying. 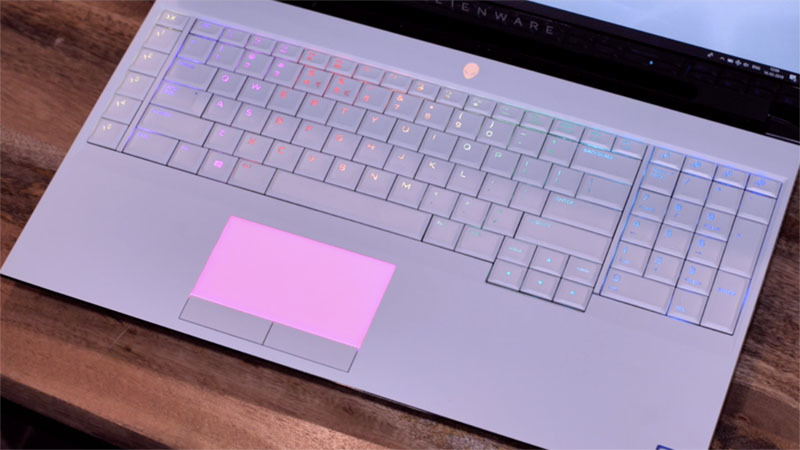 Inside, the keyboard is completely white, with RGB backlighting (obviously), the power button is the Alienware logo (also with RGB), and there’s a relatively small trackpad (also with RGB). There’s also RGB on the back, by the way, wrapped around the grilles. 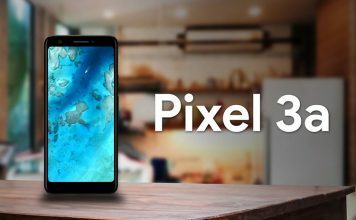 The Area 51m looks really good with the sort of dual tone thing it has going inside, with a white keyboard contrasting against the black of the display and the eye-tracking tech. It’s a pretty good looking laptop overall, with a lot of heft, and it obviously doesn’t feel like it might break easily. It might break other stuff easily, but not itself. The display here is a 17-inch Full HD panel, with a 144Hz refresh rate and Nvidia G-Sync, which, if you’re buying a laptop at this price, are most likely things you care about and want. Anyway, the only complaint I have with this display is that it’s not very bright. It’s bright enough indoors, and might actually hurt your eyes at night if you don’t lower the settings, but outdoors, I have doubts about the brightness. Still, the display does have a matte finish, and is rated to be anti-glare so it shouldn’t be too much of a problem. Other than that, this display is pretty great. It’s a Full HD panel like I said, and at 17-inches that does mean it doesn’t look quite as sharp sometimes, but it looks really great when gaming, and it doesn’t leave you wanting. Plus, Dell has really done a good job with the bezels on this, there are slim bezels wrapped around the sides of the display, with only the bottom bezel being bigger, but even then, I will excuse that because the Area 51m packs in Tobii eye-tracking there, so clearly, the space was needed. Gaming on this display is awesome. 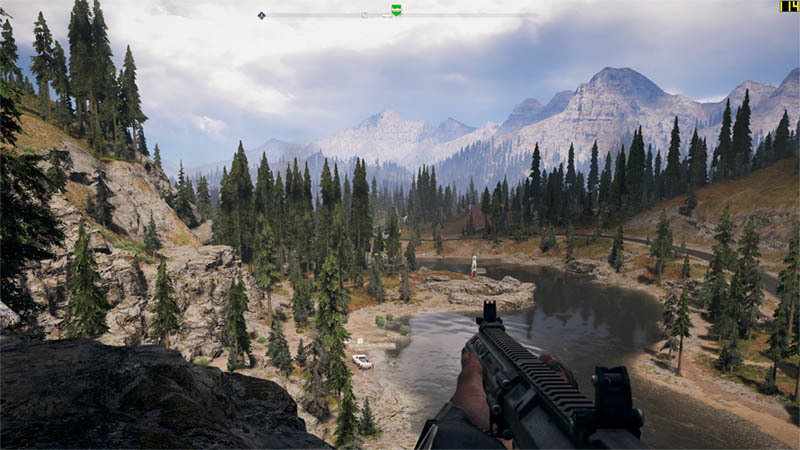 I played all the games that I usually do on a gaming laptop including Far Cry 5, Battlefield V, and PUBG, along with Apex Legends this time around, and it’s really fun playing these games on this display. Oh, the performance. Let me put it this way. A Core i9-9900K, 32GB RAM, 8GB Nvidia RTX2080. 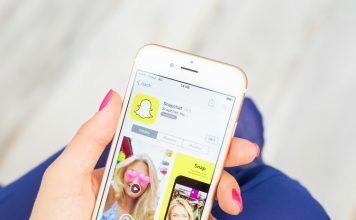 What do you think the performance is like? If you’re thinking “insane” you’re right. 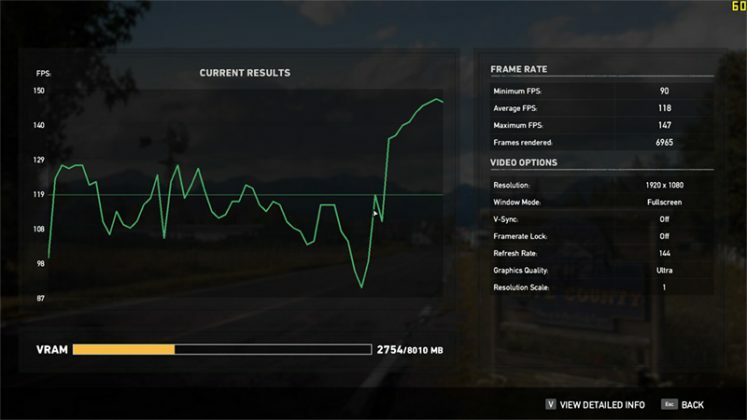 This laptop handles everything like a champ, and it doesn’t break a sweat running basically any game on the highest of settings. 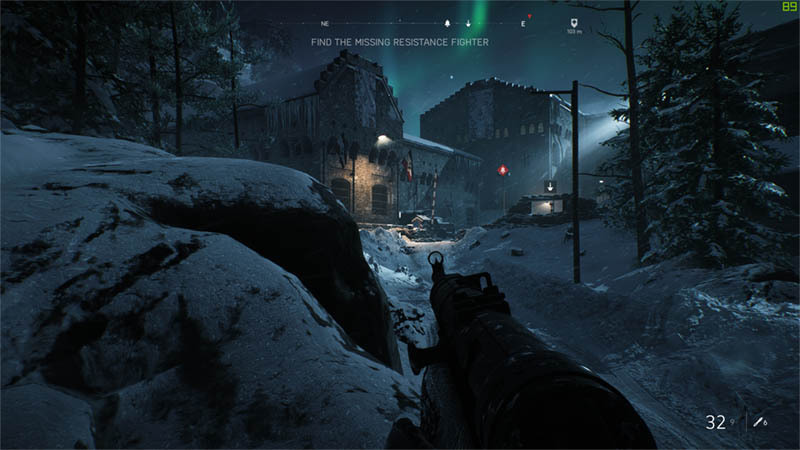 Even with Battlefield V’s ray tracing turned on and graphics set to Ultra, the laptop easily churned out over 80-90 FPS at all times, and I loved it. 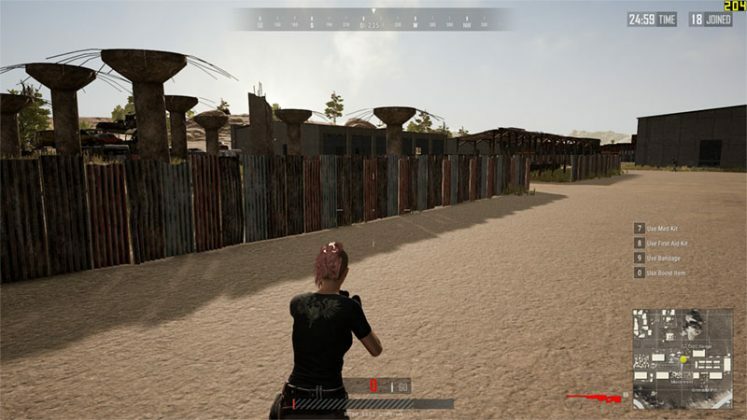 Setting the graphics to Medium resulted in even better frame rates of well over 100 FPS. In Far Cry 5, too, the laptop easily got an average frame rate of 118FPS at Ultra settings, and there were no frame drops or stutters anywhere. It’s just an awesome experience. Setting the graphics down to Normal resulted in average frame rates of 130FPS, with the game reaching 165FPS at max. PUBG was basically a walk in the park for the Area 51m, with the laptop getting well over 150FPS in Ultra settings, and sometimes breaching 200FPS as well. 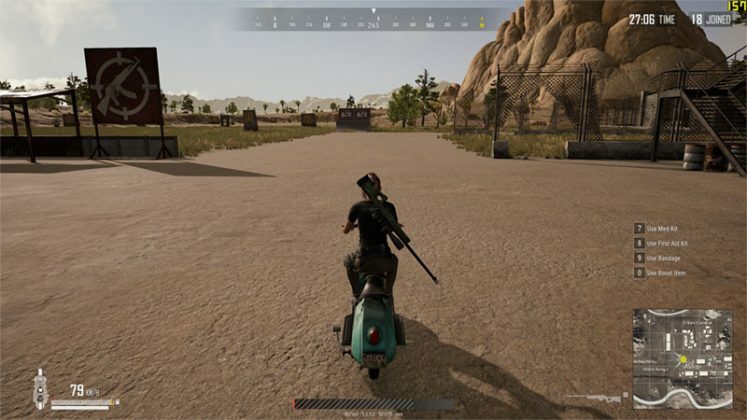 Even with intense gunfights, grenade explosions, and a lot of smoke grenades, PUBG runs completely smoothly on this laptop. 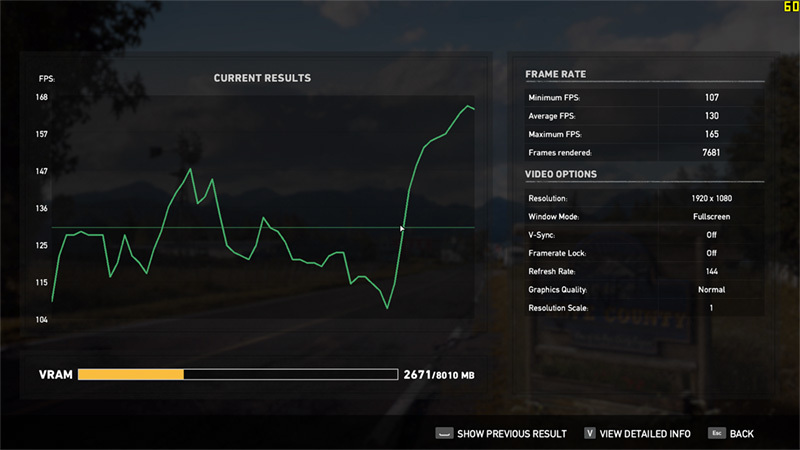 I also put the Alienware Area 51m through some benchmarks, and it went through them with flying colors as well. 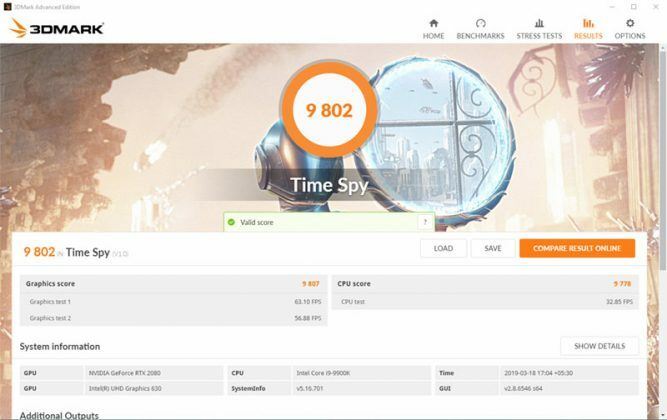 In 3DMark Time Spy, the laptop scored a whopping 9,802 points which is definitely pretty awesome. 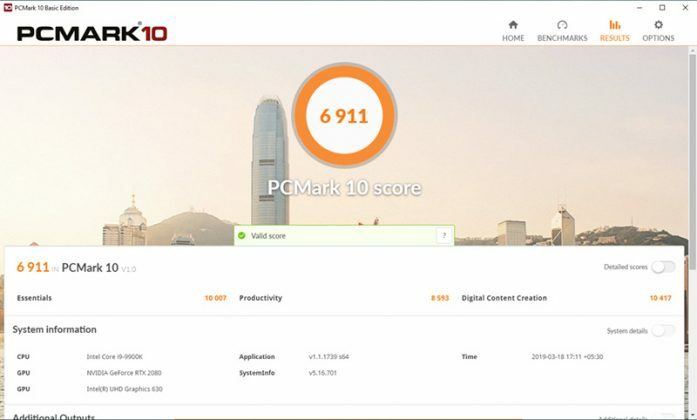 In PCMark 10, the Area 51m scored 6,911. Clearly, the laptop is a heavyweight, both literally and metaphorically. The Area 51m comes with a full sized Alienware TactX keyboard, which even though it’s not truly a mechanical keyboard, does manage to give a very nice experience. Typing on the keyboard is a great experience, unless you absolutely want a clicky keyboard, you’ll not have any issues with this one. In my usage of the laptop, I spent quite a bit of time typing on the keyboard here, and it’s perfectly fine, except the thickness of the laptop does make it a little uncomfortable after long hours. For gaming too, the keyboard is amazing. True, it’s not as tactile as a mechanical keyboard is, but it’s not as if there’s less response here. The keys actuate pretty consistently, and there’s ample travel so you don’t feel like you’re typing on glass. Unlike some other gaming laptops, the Area 51m doesn’t try to push the WASD keys in your face, letting them blend in with the rest of the keyboard. You do, however, get a row of macro keys on the left of the keyboard, and one above the numpad. These, you can customise for quick actions while you’re gaming. I didn’t use these much, but I did quickly come to the realization that if you’re used to a normal keyboard (one without the macro keys), you will end up hitting the wrong keys sometimes here, for a while, until you get used to it. I found myself pressing Caps Lock instead of ‘A’ a lot of times, which was annoying, but with time that becomes muscle memory. The trackpad here, by the way, is pretty small, if you’re used to bigger trackpads, like I am. However, it’s not a bad trackpad at all. In fact, once I got used to the smaller area I could perform gestures and swipes in, it was a decent experience. There’s RGB on the trackpad too, by the way, and it can be configured using the built in software, with effects like Breathing, Color, and more so you can keep your laptop looking as unique as you’d like. Also, while the trackpad does support the usual single-finger-tap for left click, and double-finger-tap for right click, there are dedicated left and right click buttons here, so you can use those if you want. Note: Dell did not let us open the laptop, so we don’t have pictures of the internals here. So yeah, the Alienware 51m pulls off all the stops required by a gaming laptop, but Dell didn’t stop there. The company took this laptop a step further and made it modular. Yeah, the Area 51m is an upgradable laptop, and I don’t mean RAM upgrades. The Area 51m’s GPU is mounted on a removable module that can be replaced with any other GPU (as long as Dell sells it mounted on a module). The CPU, on the other hand, is basically a typical PC CPU. It’s locked into the motherboard with a very desktop-like CPU mount, so whenever you feel like you need to upgrade the CPU on this, you can just pop open the lock, and add the new CPU in. That’s it. It’s a pretty neat idea, and it’s definitely something I think is a great solution to the problem of expensive gaming laptops getting outdated so quickly. However, it remains to be seen just how many of these modules Dell might release, and what the company prices them at. In terms of I/O, the Area 51m has everything covered. It comes with so many ports I doubt you’ll be able to use them all in a normal use-case. 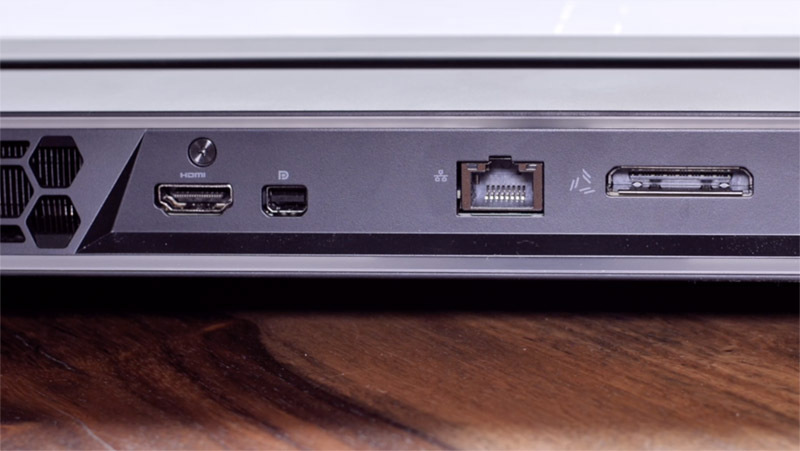 There’s a 2.5Gbps ethernet port, 2x USB 3.0 Type-A SuperSpeed ports, 1x USB 3.0 Type-A SuperSpeed port with power sharing, 1x Thunderbolt 3 port, an HDMI 2.0 output, a miniDisplay port, a headphone/mic combo port, a dedicated headphone jack, and an Alienware graphics amplifier port as well. Clearly, you’ll not run out of ports on this laptop no matter what you’re trying to do. The Alienware Area 51m comes with front firing speakers, and these are pretty damn loud. 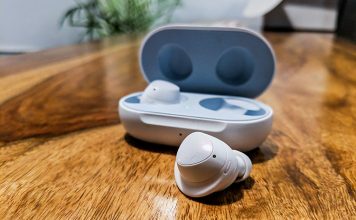 I really liked the sound from these units, especially thanks to the really well balanced output they have. The highs and lows are easily audible, there’s no crackling of sound even at highest volumes, and the speakers do seem to have a pretty wide soundstage. Even though I found these speakers good enough for casual gaming, if you’re playing a game of PUBG, or if you’re playing at a more than casual level, I’d still recommend a good pair of headphones to go with it. These speakers are loud, but they don’t beat headphones. The Area 51m is a beefy looking laptop, it has beefy specs, and as such it should have a big battery. Dell has fitted this unit with a 90Whr battery, and with that powering both the Core i9 and the RTX 2080, the battery life does take a major hit if you’re doing intensive tasks or maybe even playing games. However, in normal day to day usage, the laptop lasts around 2.5 to 3 hours which is nothing great, but for a laptop of this size, packing hardware that is this power hungry, 3 hours is definitely a decent battery life. So, if you’re planning on using this laptop as your primary laptop at work, you’ll have to carry both of those humungous power bricks with you all the time. 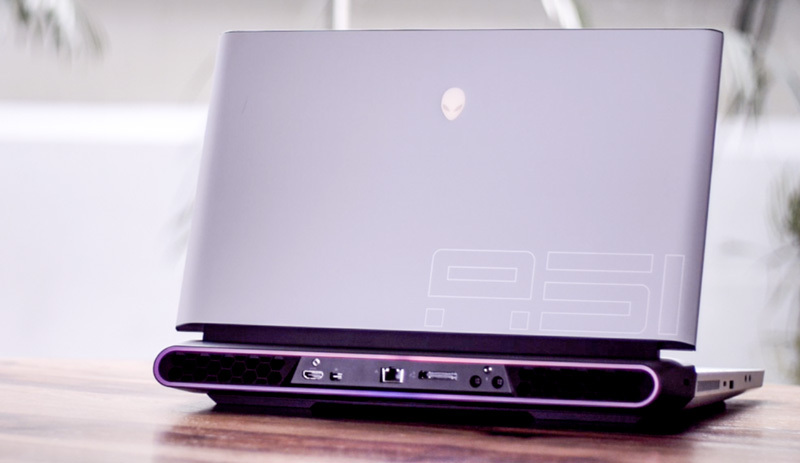 Alienware Area 51m: Should You Buy It? In conclusion, the Alienware Area 51m is definitely a power packed, feature packed gaming laptop that does everything you’d want a gaming laptop to do and then some. 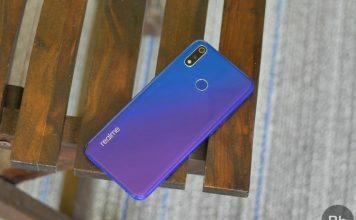 It runs every single game on the highest of settings, it has the latest 9th-gen processors, the latest RTX graphics cards, up to 64GB of RAM and so much more. Starting at Rs. 2,99,590, the Alienware Area 51m is a pretty solid laptop but it does have a lot of competition to cope with. There are laptops from Asus, MSI, and others that bring similar specs at a similar price as the Alienware Area 51m, but none of them bring the modularity, so the question is, are you willing to put your faith in Dell’s claims of a modular future for your gaming laptop? If so, the Alienware Area 51m is definitely not going to disappoint you. 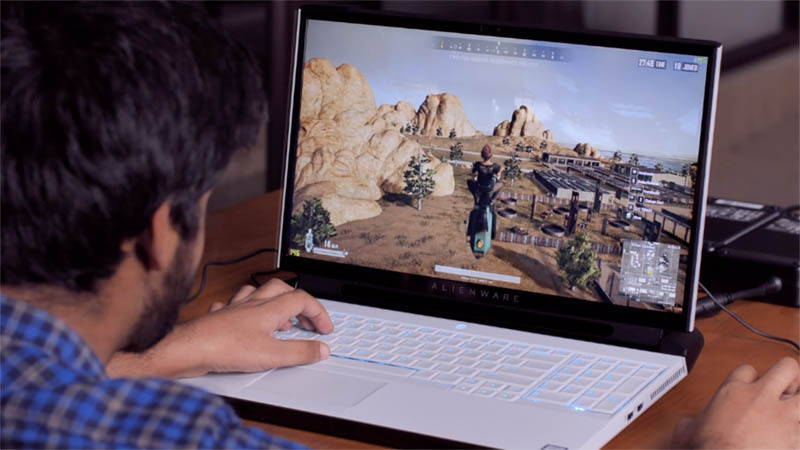 Note: The Alienware Area 51m isn’t yet available to buy from the Dell India website, but you can check out the configuration and other details at the below link. 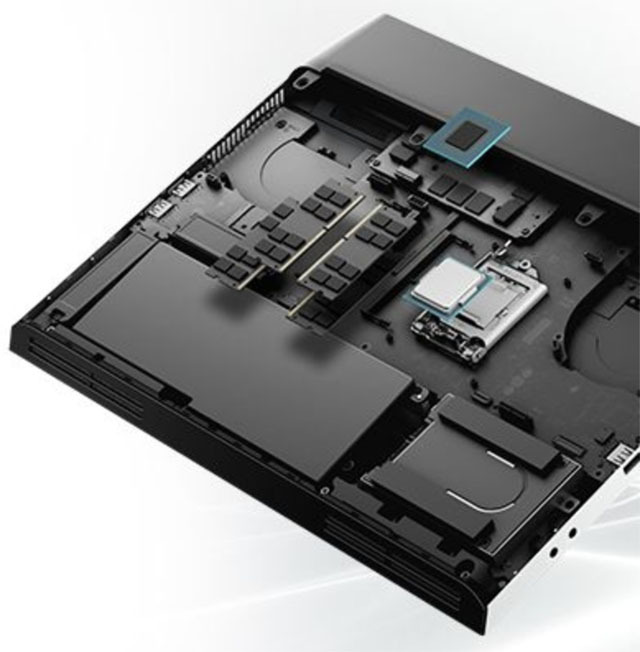 The Alienware Area 51m is a beast clad inside a great looking magnesium alloy chassis. 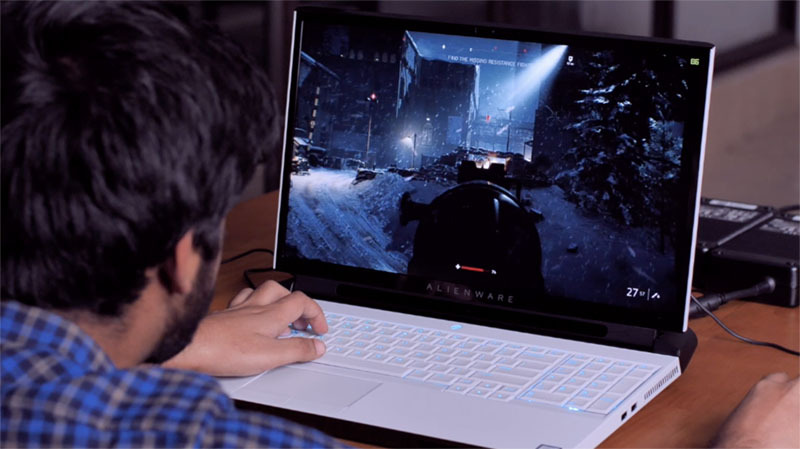 The laptop boasts of high end hardware that runs right through even the most demanding games, and it's also modular so you can upgrade the GPU and CPU whenever you want to. If you're in the market for a future proof gaming laptop, look no further.